It’s generally the case that the two rooms which can add most value to a property are the kitchen and bathroom. These will often help a purchaser to fall in love with a property. And, of course, the converse is also true. Fashions change too and the once popular coloured bathroom suites tend to be off-putting as being old-fashioned and as such undesirable. These days white bathroom suites are the must-have sanitary ware for both homes and rental properties. However, just because your bathroom furniture is white, the room doesn’t have to be boring. You can add splashes of colour with your bathroom accessories. Even a stack of coloured towels can add visual interest. And it doesn’t have to be expensive to give the room a luxurious feeling. 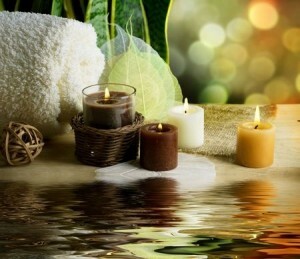 A few candles and other well chosen accessories can help to create your own spa at home. 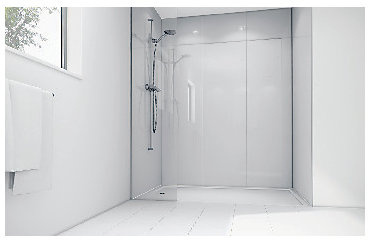 Another relatively new trend is to install a wet room. Some years ago, walk-in baths and the like were mainly installed for disabled people, the elderly and those with reduced mobility. Nowadays, wet rooms are seen as modern and desirable for any family home. They also work well for smaller bathrooms, en-suite bathrooms, and they’re good for busy professionals who prefer a quick shower in the morning rather than a soak in the bath. In some parts of the world, Thailand for example, wet rooms are very much the norm and not seen as a luxury improvement at all. It’s possible that as overseas holidays have become more popular due to cheap flights, people have enjoyed the benefits of a wet room and wish to recreate the experience at home. Installing a wet room can be done by a skilled DIYer. Wickes has an excellent video tutorial which shows how to do it. But the work requires a high degree of accuracy, so if you’re in any doubt about your ability to make a good job of this, you might be better to hire a professional. As you can see, it doesn’t need to cost the earth to create that extra bit of luxury in your home. It’s likely to add value to your property when you come to sell it. Alternatively, it could help give that wow factor to attract tenants if you’re buying to let. Wickes do a great range of shower panel kits – click on the picture below to see them! Good luck with your project and do feel free to write in and let us know how you get on with it. You can use the comment form below.